Toyotomi Hideyoshi (Shinjitai (modern Japanese) writing: 豊臣秀吉; Kyūjitai (historical) writing: 豐臣秀吉; born Hiyoshi-maru日吉丸; coming of age (Genpuku) as Kinoshita Tōkichirō木下藤吉郎 and later made Hashiba and martial nobility in the style of Hashiba Chikuzen no Kami Hideyoshi 羽柴筑前守秀吉) ( February 2, 1536 or March 26, 1537 – September 18, 1598), was a Sengoku period daimyo who unified Japan. 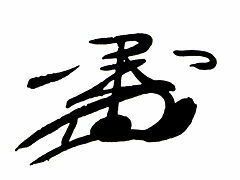 According to legend, he was born a peasant, entered the service of Oda Nobunaga and rose to become his leading general. After Nobunaga's death, Hideyoshi took over his military rule and set out to unify Japan, which had been disrupted by a century of civil strife. The period of his rule is often called the Momoyama period, after Hideyoshi's castle. It lasted from 1582 to his death in 1598, or (according to some scholars) until Tokugawa Ieyasu seized power after the Battle of Sekigahara in 1600. Hideyoshi subdued the military Buddhist sects, conquered Kyushu, and in 1584 negotiated an alliance with Tokugawa Ieyasu. After the defeat of the Hojo clan in 1590, Hideyoshi was ruler of a united Japan. Unable to receive the title of shogun because of his lowly birth, he instead took the position of regent (kampaku, 関白), and was formally given the name Toyotomi by the imperial court. In 1592 he launched an attempt to conquer China but succeeded only in occupying part of Korea; a second attempt in 1597 was less successful; after his death the Council of Five Elders ordered the troops to withdraw. Hideyoshi is noted in Japanese history for a number of political and cultural legacies, including the restriction that only members of the samurai class could bear arms, and the establishment of samurai as a hereditary social status. He decreed a land survey, revised the land tax, developed a code of maritime law, and encouraged foreign trade. He patronized the arts and encouraged the development of the tea ceremony; erected monuments; and reconstructed Kyoto and Osaka. Many of his innovations were incorporated into the organization of the Tokugawa shogunate. In Korean history, he is remembered as a murderous invader, who invaded Joseon Korea as a route to invade the Ming Dynasty of China, and failed. During the first half of his life, Hideyoshi’s rise to success was unparalleled; his courage and his brilliant strategies brought him one victory after another. Many historians agree, however, that in his later life he undermined his own success by committing unexplainable acts of cruelty and that his decision to attempt the conquest of China was foolish and irrational. Very little is known for certain about Hideyoshi before 1570, when he begins to appear in surviving documents and letters. His autobiography starts in 1577 but in it Hideyoshi speaks very little about his past. According to tradition, he was born Hiyoshi-maru (日吉丸) on February 2, 1536 in what is now Nakamura-ku, Nagoya in Owari province, the home of the Oda clan. He was born with no traceable samurai lineage, the son of a peasant-warrior named Yaemon. Due to the circumstances of his birth he had no surname. His childhood given name, Hiyoshimaru, meant "Bounty of the Sun," although variations exist. According to Maeda Toshiie and a European missionary named Luis Frois, Hideyoshi was polydactyl, with two thumbs on his right hand. He did not amputate his extra thumb as other Japanese of this period would have done. Many legends recount that Hideyoshi was sent to study at a temple as a young man, but that he rejected temple life and went in search of adventure. While still a boy, he left home for Totomi province (present-day Shizuoka prefecture) and became page to a retainer of the daimyo (feudal baron) of Totomi. Under the name Kinoshita Tokichiro, he joined the Imagawa clan as a servant to local ruler Matsushita Kahei. He traveled all the way to the lands of Imagawa Yoshimoto, daimyo of Suruga Province, and served there for a time, only to abscond with a sum of money entrusted to him by Matsushita Yukitsuna. Around 1557 he returned to Owari and joined the Oda clan as a lowly servant. His cheerful disposition, tact and intelligence helped him become promoted to a samurai. He became one of Oda Nobunaga's sandal-bearers and was present for the Battle of Okehazama in 1560 when Nobunaga defeated Imagawa Yoshimoto to become one of the most powerful warlords in the Sengoku period. He supervised the repair of the Kiyosu castle and managed the kitchen. In 1561, Hideyoshi married Toyotomi Nene. According to legend, with his younger brother Toyotomi Hidenaga and the bandits Hachisuka Masakatsu and Maeno Nagayasu, Hideyoshi successfully constructed a fort in Sunomata overnight during a siege on Inabayama Castle near Ogaki in 1567. 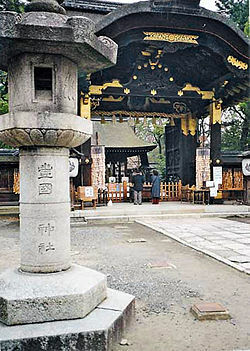 He discovered a secret route into Inabayama, after which much of the garrison surrendered. Hideyoshi was very successful as a diplomat. In 1564 he managed to negotiate, mostly with liberal bribes, the defection of a number of Mino warlords from the Saito clan, including the Saito clan's strategist Takenaka Hanbei. Despite his peasant origins, Hideyoshi became one of Oda Nobunaga's most distinguished generals, eventually taking the name Hashiba Hashiba Chikuzen no kami (Hashiba, Lord of Chikuzen). That name was derived from two characters, each taken from one of Oda's two other right-hand men, Niwa Nagahide and Shibata Katsuie. Hideyoshi led troops in the Battle of Anegawa (姉川の戦い)in 1570, in which Oda Nobunaga allied with his future rival Tokugawa Ieyasu (who would eventually succeed the Toyotomi clan's rule of Japan) to lay siege to two fortresses of the Asai and Asakura clans. In 1573, after victorious campaigns against the Asai and Asakura, Nobunaga appointed Hideyoshi Daimyo of three districts in the northern part of Omi province. Initially based at the former Asai headquarters in Odani, Hideyoshi moved to Kunitomo, located on the eastern shore of Lake Biwa, and renamed the city Nagahama (長浜市) in tribute to Oda Nobunaga. Hideyoshi later moved to the port city Imahama on Lake Biwa. From there he began work on Imahama Castle and took control of the nearby Kunimoto firearms factory that had been established some years previously by the Asai and Asakura. Under Hideyoshi's administration, the factory’s output of firearms increased dramatically. After the assassinations of Oda Nobunaga and his eldest son Nobutada, at the hands of Akechi Mitsuhide in 1582 (the Incident at Honnō-ji), Hashiba defeated Akechi at the Battle of Yamazaki (山崎の戦い) and established his de facto succession to Oda's military rule. At the Kiyosu Meeting, held to decide on a legal successor, Hashiba cast aside the apparent candidate, Oda Nobutaka (織田信孝) and his advocate, Oda clan's chief general, Shibata Katsuie (柴田勝家), by supporting Nobutada's young son, Oda Hidenobu (三法師; 織田秀信). Having won the support of the other two Oda elders, Niwa Nagahide and Ikeda Tsuneoki, Hashiba established Hidenobu's position, as well as his own influence in the Oda clan. Tension quickly escalated between Shibata and Hashiba, and at the Battle of Shizugatake (賤ヶ岳の戦い) in the following year, Hashiba destroyed Shibata's forces and thus consolidated his own power, absorbing most of the Oda clan into his control. 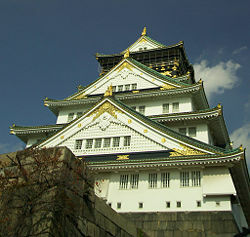 In 1583, Hideyoshi began construction of Osaka Castle. Built on the site of the "impenetrable" Ikkō-ikki temple Ishiyama Honganji, which had been destroyed by Nobunaga, the castle would become the last stronghold of the Toyotomi clan after Hideyoshi's death. Nobunaga's other son, Oda Nobukatsu (織田信雄) remained hostile to Hashiba. He allied himself with Tokugawa Ieyasu, and the two sides fought at the inconclusive Battle of Komaki-Nagakute (長久手の戦い). It ultimately resulted in a stalemate, although the Hashiba forces were delivered a heavy blow. Finally, Hashiba made peace with Nobukatsu, ending the pretext for war between the Tokugawa and Hashiba clans. Hideyoshi sent Tokugawa Ieyasu his younger sister and mother as hostages. Tokugawa eventually agreed to become a vassal of Hashiba. Hideyoshi wanted the title of shogun so that he could be truly considered the active ruler of Japan. However, the emperor was unable to grant such a title to someone of Hideyoshi's lowly origins. Hideyoshi then appealed to the last Muromachi shogun, Ashikaga Yoshiaki, to accept him as an adopted son, but was refused. Unable to become shogun, in 1585 he took the more prestigious position of regent (kampaku, 関白), as the Fujiwara Regents had done. In 1586, Hashiba was formally given the name "Toyotomi" by the imperial court. He built a lavish palace, the Jurakudai (聚楽第), in 1587 and entertained the reigning Emperor Go-Yozei the following year. Afterwards, Hideyoshi subjugated Kii Province and conquered Shikoku under the Chōsokabe clan (長宗我部氏). He also took control of Etchu and conquered Kyūshū. In 1587, Hideyoshi banished Christian missionaries from Kyūshū in order to exert greater control over the Kirishitan daimyo. In 1588, Hideyoshi started a sword hunt that forbade ordinary peasants from owning weapons. The swords that were collected were melted down to create a statue of the Buddha. This measure effectively stopped peasant revolts and ensured greater stability at the expense of individual freedom. The 1590 Siege of Odawara against the Late Hōjō clan in Kanto was the last resistance to Hideyoshi's authority. His victory signified the end of the Sengoku period. In February 1591, after several disagreements and perhaps for other reasons that are still unknown, Hideyoshi ordered Sen no Rikyū to commit suicide. Rikyū had been a trusted retainer and master of the tea ceremony under both Hideyoshi and Nobunaga. Under Hideyoshi's patronage, Rikyū made significant changes to the aesthetics of the tea ceremony that had lasting influence over many aspects of Japanese culture. 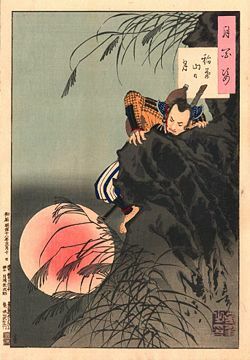 Even after he ordered Rikyū's suicide, Hideyoshi is said to have built his many construction projects based upon principles of beauty promoted by Rikyū. The possibility of a stable Toyotomi dynasty after Hideyoshi's death was put in doubt with the death of his only son Tsurumatsu in September 1591. The three-year-old was his only child. When his half-brother Toyotomi Hidenaga died shortly after his son, Hideyoshi named his nephew, Toyotomi Hidetsugu, his heir, adopting him in January 1592. Hideyoshi resigned as kampaku on February 11 to take the title of taikō (retired regent), and Hidetsugu succeeded him as kampaku. His health was beginning to falter, but Hideyoshi still yearned for some accomplishment that would solidify his legacy. He adopted the dream of a Japanese conquest of China, which Oda Nobunaga had contemplated, and launched two ill-fated invasions of Joseon Korea. Though intended to conquer the Ming Dynasty of Emperor Wanli, Japanese forces never got beyond the Korean peninsula because they were met by superior forces sent from Ming China. Hideyoshi had been communicating with the Joseon Dynasty since 1587, requesting unmolested passage into China. The Koreans at first refused talks entirely, and in April and July, 1591, refused demands that Japanese troops be allowed to march through Korea. In August, Hideyoshi ordered preparations to be made for invasion. In the first campaign, Japanese forces were initially successful. By May 1592 Seoul was occupied, and the Korean king, King Seonjo and his court, had fled to a city in the northern-most tip of Korea. On June 16, Konishi Yukinaga took Pyongyang. Meanwhile, Kato Kiyomasa moved his troops up the Korean peninsula. In only four months Hideyoshi's forces had a route into Manchuria and occupied much of Korea. However, despite their success on land, naval forces under Admiral Yi Sun-sin soon counterattacked the Japanese naval fleet, cutting off the Japanese army's supply lines and thus effectively strangling the invasion of Korea. In 1593, Ming Chinese Emperor Wanli sent an army under Admiral Li Rusong to block the planned invasion of China and recapture the Korean peninsula. Chinese and Korean forces, including Buddhist monks and civilian militia forces, drove the Japanese army from Seoul and Pyongyang. By May Japanese troops had retreated to Japan. Hideyoshi's second son, Toyotomi Hideyori (豊臣 秀頼), was born in 1593, creating a problem of succession because Hidetsugu had already been designated the Toyotomi heir. To avoid a succession struggle, Hidetsugu was exiled to Mount Koya and then ordered to commit suicide in August 1595. Hidetsuga's family members who did not follow his example were then murdered in Kyoto, including 31 women and several children. After several years of negotiations, Hideyoshi launched his second invasion of Korea in 1597, but met with even less success. The Japanese troops remained largely in Kyongsang province. By June 1598, the campaign was stalled and reduced to approximately 60,000 warriors under the Shimazu clan commanders, Shimazu Yoshihiro and his son Shimazu Tadatsune. The remaining Japanese forces fought desperately, turning back several Chinese attacks in Suncheon and Sacheon as the Ming army prepared for a final assault. Toyotomi Hideyoshi died in September 1598, but his death was kept a secret by the Council of Five Elders to preserve morale. It was not until late October that they sent a decree to the Japanese commanders to withdraw. In the last major conflict of the war, the Battle of Noryang Point, combined Korean and Chinese naval forces led by admirals Yi Sun-sin and Chen lin blocked the Japanese withdrawal. Japanese forces suffered severe damage in heavy fighting and Korean admiral Yi Sun-sin was killed, but the remaining Japan forces broke through and withdrew to Busan, at a cost of 200 ships destroyed and 100 captured, according to Korean records. Because of his failure to capture Korea, Hideyoshi's forces were unable to invade China. Rather than strengthen his position, these military expeditions left his clan's coffers decreased, his vassals at odds over responsibility for the failure, and the clans that were loyal to the Toyotomi name weakened. The dream of a Japanese empire throughout Asia ended with Hideyoshi. The Tokugawa government not only prevented any more military expeditions to the mainland, but closed Japan to nearly all foreigners. It was not until the late nineteenth century that Japan would again fight a war against China through Korea, using much the same route that Hideyoshi's invasion force had used. After his death, the other members of the Council of Five Regents were unable to keep the ambitions of Tokugawa Ieyasu in check. Members of Seven Spears of Shizugatake, Kato Kiyomasa and Fukushima Masanori had fought bravely during the war, but after a Toyotomi clan auditor, Ishida Mitsunari, gave their performance a poor evaluation, they sided with Tokugawa Ieyasu. Hideyoshi's underaged son and designated successor, Hideyori, lost the power his father once held, and Tokugawa Ieyasu was declared shogun following the Battle of Sekigahara. Toyotomi Hideyoshi changed Japanese society in many ways. During the Sengoku period, it was common for peasants to become warriors, or for samurai to farm due to the constant uncertainty caused by the lack of centralized government and the always unstable peace. Upon taking control, Hideyoshi decreed that all peasants be disarmed completely, freezing social class mobility for the next three hundred years. He ordered all of Japan surveyed, and a complete census taken. Once this was done and all citizens were registered, all Japanese were required to stay in their respective provinces (or 'han') unless they obtained official permission to go elsewhere. This ensured order in a period when bandits still roamed the countryside and peace was still new. The survey of the countryside made it easier to organize the use of land and resources. In 1588, Hideyoshi effectively replaced slavery with contract and indentured labor, and stopped the sale of slaves. In 1590 Hideyoshi completed construction of the Osaka Castle, the largest and most formidable in all Japan, to guard the western approaches to Kyoto. Hideyoshi's contributions to Japanese culture, however, were more than just military and administrative. Like Nobunaga before him, Hideyoshi lavished time and money on the tea ceremony, collecting implements, sponsoring lavish social events, and patronizing acclaimed masters. As interest in the tea ceremony rose among the ruling class, so too did demand for fine ceramic implements, and during the course of the Korean campaigns, not only were large quantities of prized ceramic ware confiscated, many Korean artisans were forcibly relocated to Japan. Inspired by the dazzling Kinkaku (golden pavilion) temple in northwestern Kyoto, he also constructed a fabulous portable tea room, known as kigame no zashiki ("golden chamber"), covered with gold leaf and lined inside with red gossamer. Using this mobile innovation, he was able to practice the tea ceremony wherever he went, powerfully projecting his unrivaled power and status upon his arrival. Politically, he set up a governmental system that created a balance among the most powerful Japanese warlords (or daimyo). A council was created to include the most influential lords, with a regent was designated to be in command, functioning in some ways like a president with a parliament. At the time of his death, Hideyoshi hoped to set up a system stable enough to survive until his son grew old enough to become the next leader. A Council of Five Elders was formed, consisting of the five most powerful daimyo. Following the death of Maeda Toshiie, however, Tokugawa Ieyasu began to secure alliances, including political marriages (which had been forbidden by Hideyoshi). Eventually, the pro-Toyotomi forces fought against Tokugawa and his allies in the Battle of Sekigahara. Tokugawa won and received the title of Seii-tai Shogun two years later. Tokugawa left the majority of Hideyoshi's decrees in place, and incorporated many of Hideyoshi’s policies in the administration of his shogunate. After a failed assassination attempt by Ishikawa Goemon, Hideyoshi had the man and his son boiled in oil on the banks of the Kayogama River. Because of his low birth and ascendance to the high nobility, Toyotomi Hideyoshi had several names throughout his life. While he is most commonly known as "Toyotomi Hideyoshi" in English, Hideyoshi's last adopted myōji (苗字, family name) is Hashiba (羽柴). Toyotomi (豊臣) is, in fact, a newly created uji or sei (氏 or 姓, clan name) granted by the emperor and used concurrently with his myōji. 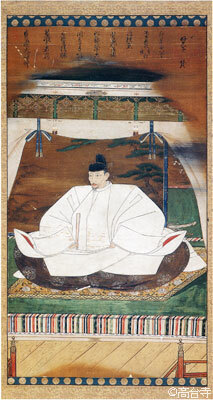 As is the rule with uji, Hideyoshi's name is correctly read as Toyotomi no Hideyoshi, similar to Minamoto no Yoshitsune. The Toyotomi uji was simultaneously granted to a number of Hideyoshi's chosen allies, who adopted the new uji ("豊臣朝臣" (Toyotomi no asomi, courtier of Toyotomi). Dening, Walter. The life of Toyotomi Hideyoshi. Kessinger Reprint Service. ISBN 0548137064. Toyotomi Hideyoshi, 1536 - 1598, Samurai Archives. The Wall Writings of Ôsaka Castle, House Codes of Toyotomi Hideyoshi. This page was last modified on 14 December 2015, at 20:16.